Set of Five Little Finger Puppets designed to accompany the Five Litte Men Books. Finger Puppets are 4" tall. 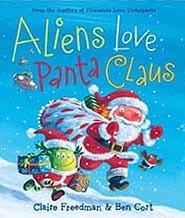 When five little men come to visit Earth from Outer Space, they don't like what they see. 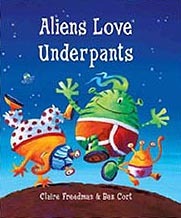 Finding a planet that is spoiled and neglected,, the little men fly away, one by one. Luckly, by the end of this much-loved counting song, the world becomes a better place to visit and the five little men may even have had something to do with it! Paperback with CD. 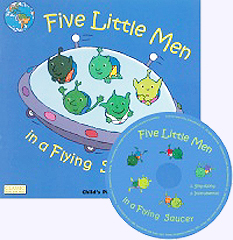 Board Book version of Five Little Men in a Flying Saucer. I'll bet you never new! Hardcover. Ages 4 - 6. It's lucky that they do. 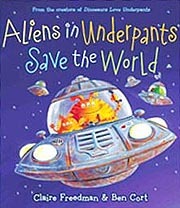 For underpants saved our universe. Sounds crazy, but it's true.